The Angry Birds Movie 2 trailer has been released and we've got you covered for everything you need to know. The first Angry Birds Movie went straight to number one at the box office when it was released in 2016, becoming the second most successful video-game adaptation. Now there is a sequel. When is Angry Birds 2 coming out in the UK? 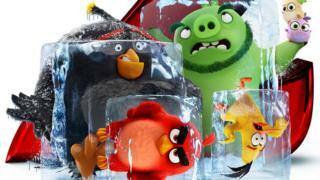 Angry Birds 2 is set to come to UK cinema screens on 4 October 2019. The film adds to an exciting year of movies with Toy Story 4, Captain Marvel, Avengers Endgame and The Lion King all coming out in 2019. What does the trailer tell us? The trailer focuses on a new purple-feathered villain called Zeta, she's got tons of ice and zero chill. The new character is on her own on an island of ice and is fed up of everything around her being permanently frozen. She decides to try and make contact with the outside world by carelessly flinging massive ice balls. Does that mean they'll have to team up to take on the enemy? We'll find out later this year. Who is in Angry Birds 2? Jason Sudeikis (Red), Josh Gad (Chuck) and Bill Hader (Leonard) and Peter Dinklage are all set to return to their roles. Leslie Jones stars as the new villain Zeta. 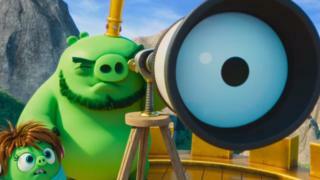 Singer Nicki Minaj who appeared in Ice Age: Continental Drift is also set to appear in Angry Birds 2, although it's not been revealed who her character is yet. Are you excited about the big films out this year? Let us know which one you're most looking forward to in the comments below. I'm so excited I loved the first Angry Birds movie!